Island Pharmacy at the Associated Medical Practices Plaza. Onsite at the Associated Medical Practices in central Providenciales, this small shop is the island’s oldest still operating dispensing pharmacy and offers prescription filling, general over-the-counter sales, and health supplies. 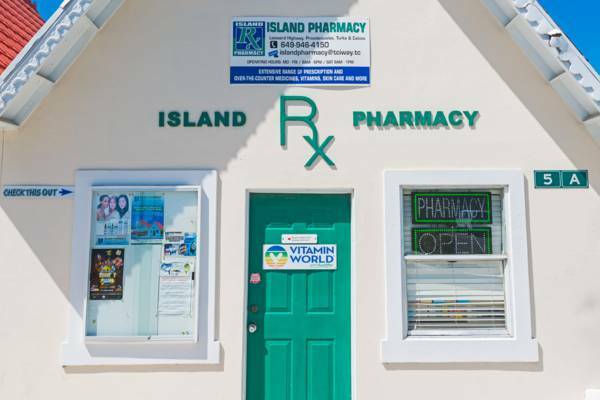 Island Pharmacy has been in operation on Providenciales since 1989.